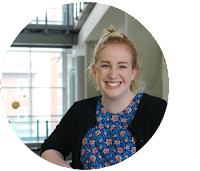 Second year Global and Development studies student Melissa Wilk candidly shares the ups and downs of a semester spent studying aborad. The air was stiflingly hot and I was leaking with sweat as we trudged up the 15km slope to La Gran Piedra (the world’s third largest rock and a UNESCO heritage site). As we hiked, we stopped to learn about the agriculture in the area and observe the ecological elements of the Sierra Maestra. Instead of looking at photos or listening to a lecture – I was there and I lived it. I’ve been studying abroad in Santiago de Cuba since early January, with a group of 16 other students from the University of Alberta. I’ve had phenomenal experiences so far – visiting revolutionary sites, exploring Caribbean castles (one of which was a filming location for Pirates of the Caribbean), swimming in caves, hiking to the top of La Gran Piedra – it’s been incredible. I mean, what could be better? Several months of escape from -30 degree weather on a tropical Caribbean island that doesn’t house a diversity of gross insects and doesn’t get cold – ever. When I first decided to embark on this adventure, I really had no idea what to expect. I didn’t do enough research and I didn’t know what I was getting myself into (but that’s part of the thrill). However, I feel that a lot of students tend to sugarcoat their experiences studying abroad – which I won’t do. Studying abroad in Cuba has been one of the most difficult experiences of my life (while also one of the best). I’m separated from everything North American (which isn’t necessarily bad – but it is tough). There’s very limited Wi-Fi access, long lines for everything, the busses are packed full of people like sardines in cans – I could go on (and I will). Cuban culture is intense and confusing – I could stay here for 20 years and still not understand everything. As a woman, I face challenges because Machismo culture is so strong. There’s not a day that goes by when I’m not yelled at in the streets – men can be very persistent. But, myself and the other females on the trip have learned to ignore it. Another challenge is learning a new language and having to constantly be very aware of my surroundings. Always on guard; always with people. I think it’s important to recognize that studying abroad is challenging. However, I believe that the challenges are what have helped me build personal strength and become more open minded. If everything was perfect, I wouldn’t be learning anything. All the things I might find terrible about Cuba are things that Cubans don’t really care about. Most Cubans haven’t ever lived with Wi-Fi so they aren’t concerned with it. Cubans accept Machismo culture – it’s considered normal. The toilets never have seats but then again, that’s normal for Cubans too. I’ve come to realize that embracing these negative aspects (which Cubans don’t even necessarily notice) is the best way to go. I’ve made memories and built relationships here in Santiago – so much so that I feel like it is my second home. I’ve learnt to embrace the challenges and deal with them as they come. I am way better at adapting to situations (and problems) and keeping an open mind now that I’ve studied abroad here. Studying abroad isn’t meant to be easy and most of the learning takes place outside of the classroom. The challenge doesn’t come from exams and essays piling up – but from being in an entirely new environment. Being in Cuba has exposed me to a culture so vibrant and colourful. And although it’s still completely new to me, I feel at home here. Cubans who see me every day will give me high fives as I walk to school and I buy fruit weekly from the same booth at the market (the lady even knows my name!). I’m a regular at local restaurants and people recognize me and the other students, wherever we go. I feel like I’ve had an exclusive experience that not many people will ever have. My host family treats my roommate and I like we are their children. I’ve attended their family gatherings and eaten their family caldosa (caldosa is a type of meat stew – most Cuban families have their own version of it and it’s very important to them). I’ve shared cigars and aged rum with my host father and I’ve received salsa dancing tips from my host mother. I will forever be grateful for my experiences in Cuba and I wouldn’t change them for the world. I have found a place in Santiago. It’s taught me how to be open minded and accept a new culture for what it is – even though it is so different from Canada. The challenges are what have changed me and shaped my perspective on life and the world (and the cheap ice cream doesn’t hurt either!). Studying abroad is something that not everyone will have the opportunity to do – but if you ever have the chance – take it (you won’t regret it). Melissa is a second year BA in Global and Development Studies at Augustana. Her favourite pastimes are drinking tea, eating chicken wings, rock climbing and playing her ukulele. Melissa loves wearing bright red lipstick to match her hair and her sarcastic personality! This blog originally appeared on YouAlberta.